Mondesi's House: Win a Kent Tekulve T-Shirt! 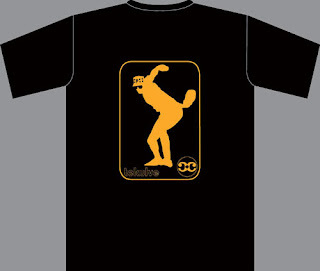 Win a Kent Tekulve T-Shirt! Here's an update on the "Afternoon Killer" Contest, where I give out prizes to some lucky readers who submit news and links to the tipline. As featured on ESPN.com's "Uni Watch"
visit their site and buy your very own Tekulve T-shirt for opening day! If your business or site is interested in sponsoring a future prize or advertising on Mondesi's House, Pittsburgh's favorite sports blog, please email for an ad packet. There's no cash investment required, and it's a great way to generate traffic to your site! Is that actually Tekulve in that picture? 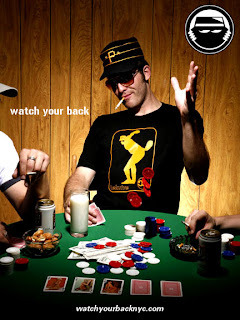 And why's he smoking cigarettes, drinking milk, and playing poker. good article on http://www.blackshoediaries.com/ about the Pitt Penn State rivalry. Read it, its worth the click. Start your own blog, please. I think I can speak for most when I say that we don't need to hear Pitt/PSU every waking moment. THe greatest t-shirt ever made is sponsoring a link, and you're still chirping about PSU. Give it a rest. Thank you, hotdog. As a Pitt grad, there's only so much of this I can take. I can only be angry so much of the time. He'll learn when he gets older that people don't like being pestered about the same thing over and over. PS: Louis, I believe that is a rare breed, the esteemed Teek impersonator, check any bar in Blawnox, Carnegie, or most of Beaver County, I'm sure you will find some more roaming about. By the way, that article was shite. Ummm... then why the hell do they have a 1 and 1 with Temple, possibly one of the worst D-1 programs ever? It's all excuses to me. Nebraska and Notre Dame play us in 1 and 1's. Those legendary programs certainly don't think Pitt is beneath them. Seriously, there's no great excuse for this. Just admit it, move on, and wait til Paterno kicks the bucket. Here's a good one for you: I went onto Adam's post and voted for who was Penn State's biggest football rival (you can choose between several Big 10 schools and Pitt. Pitt is number one with 40% of the vote! Rival? Now Temple, that's a rival. Maybe even Younstown State. But not Pitt, because you don't play Pitt you chuckleheads! Correction LL, Pitt WAS good enough for Neb. and ND. No more. Now we see Pitt settling for Michigan St. stop living in the past. Now as to me starting a blog, I already have one, but would any of yo read it? i think not. If you would, I'd be more than happy to take this arguement off the board. fianlly, I'd like to close by ripping WVU. Their ex-players are criminals and they take dumps in the opposing bands' seasts, wat a bunch of jerks. Is that really him? I didn't know that he smokes and drinks. The picture posted there shows his lifestyle.